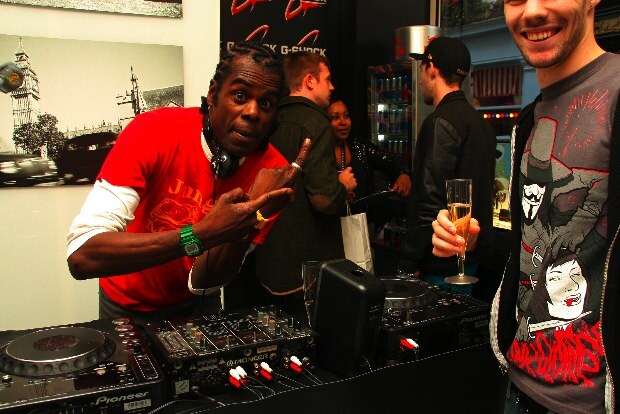 This Thursday we were fortunate to attend the launch of the Casio’s new Autumn/Winter collection at the Casio store on Carnaby Street. The whole event kicked off at 4pm, by which point there was already a queue of eager customers waiting to get a peak at the new line of products. 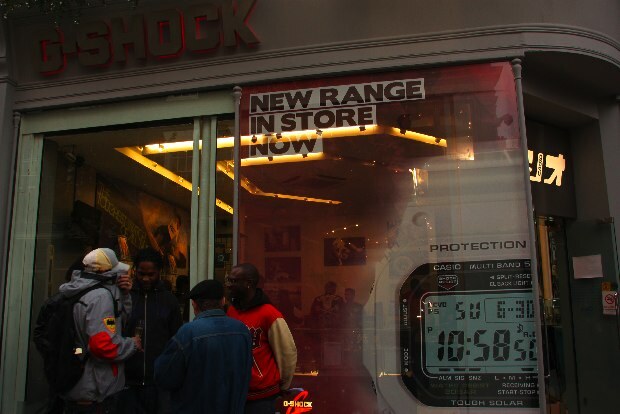 As the doors opened up the counter was rushed with the same eager people, purchasing a number of new products based on the G-Shock models. 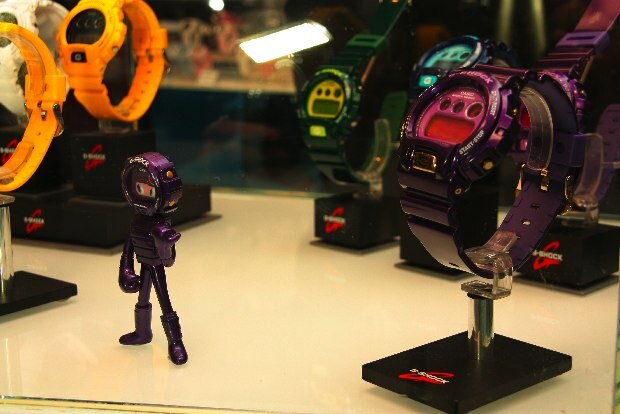 The first collection on show was the new DW6900CC – metallic colourways of the ever-popular DW6900. They come in tonal blue, green and purple and retail for £85. These will make an excellent colour-matching piece and the glossy finish simple yet makes a significant difference. The center piece of the collection was this purple metallic DW6900CC with gold detailing on the backlight button and buckle. 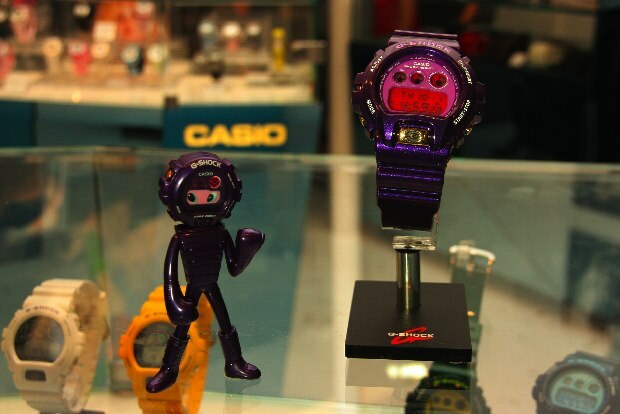 This is a limited edition of 3000 and comes with it’s own customised casio vinyl toy in a matching colourway. It is available exclusively at the Carnaby Store, retailing for £130. More new GW6900’s were next in the form of these two matt finish watches incorporating the solar atomic system. The GW6900C comes in white and yellow and retails at £120, again, exclusively at the Carnaby Street store. If the Gw6900 isn’t your bag, the GW-M5600 is also available in the same matt finish in yellow and white. If you prefer a slimmer design, then fear not, Casio have also released new colourways of the GLX5600. With a much smaller face, the GLX is lighter in weight and much more compact – now available in black, white, teal and green.